Open Minds Respect Events connects those inspired by Poetry•Arts•Music•Fashion•Humanitarian Ambitions with people of like Mind•Heart•Spirit•Vision in and around the Greater Toronto Area. Our Programs channel the energy of youth, encourage self-expression through performance poetry and strive to make a positive impact on the challenges of homelessness. Our spirit is highlighted by our monthly and annual events, which include hosting open mics, poetry slams, featured artists, writing workshops and clothing drives. We are always working with other community organizers and artists for new ways to collaborate. 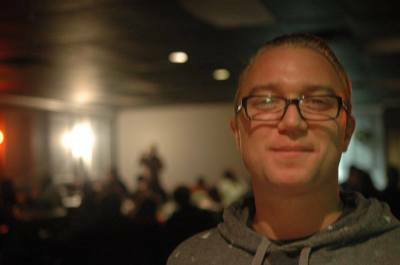 The Burlington Slam Project is an open mic and poetry slam held on the 3rd Thursday of each month in Burlington, ON. that encourages honest, creative self-expression and connection through conversations. All are invited to share through poetry, dance, announcements, rants, music or otherwise. The slam also highlights feature artists monthly. Annually a team is assembled to compete in national and international poetry competitions. 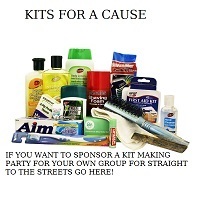 Straight to the Streets is our annual clothing and survival kit drive for the less fortunate. This initiative sources and distributes clothing and hygiene items to many people in need. Financial and clothing donations are accepted year long for sorting, assembly and distribution before winter weather hits the vulnerable sector of our society. Straight to the Streets has run in Toronto since 2006 and in 2015 expanded to Halton and Hamilton. Launched in 2014, HYWire (Halton Youth Writers) offers free monthly youth-focused writing workshops in Burlington (4th Thursday) and wherever they are requested or required. This program offers a private, calm environment to share and create original writing with guidance from experienced writers and performers. With a focus on spoken word and performance poetry anyone 12+ is welcome to join. 1. To relieve poverty by providing clothing, hygiene products and other basic supplies to persons of low income and through other similar programs to relieve poverty. 2. To provide support and encouragement to persons of low income to assist in integration into the community. 3. To educate and increase the public’s understanding and appreciation of the arts by providing performances of spoken word in public places, senior citizens homes, churches, community centres and educational institutions and by providing seminars on topics relating to such performances. 4. To provide instructional seminars on topics related to performing spoken word performances. 5. To produce spoken word festivals for the purposes of educating and advancing the public’s understanding and appreciation of such performances and to educate artists through participation in such festivals and related workshops. 6. To provide literacy programs and classes to youth. 7. To develop and provide education and training programs to persons who will conduct such literacy programs. OMRE is an umbrella group for several positive initiatives in the Greater Toronto Area that focus on the mind, spirit and heart; to improve the lives of youth, artists and those in need, while encouraging powerful voices to grow and be heard. Read more about what the community thinks of our good works. We are a non­profit organization with 6 board members and groups of volunteers. There is always room for expansion. OMRE aims for charitable status with the process in the works.